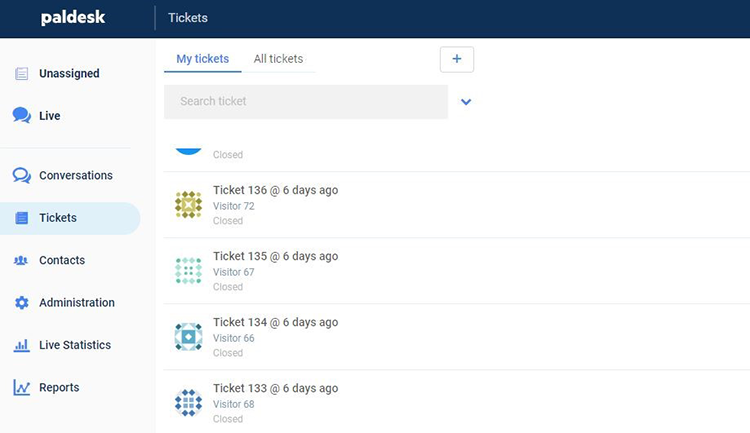 Ticket search allows you to search through all your tickets in various ways. Search can be done by your tickets or all tickets. You can search for tickets in two ways, Simple and Advanced search. Simple search allows you to search through tickets by Notes or Ticket description. On the other hand, Advanced search gives you more options for searching for tickets. 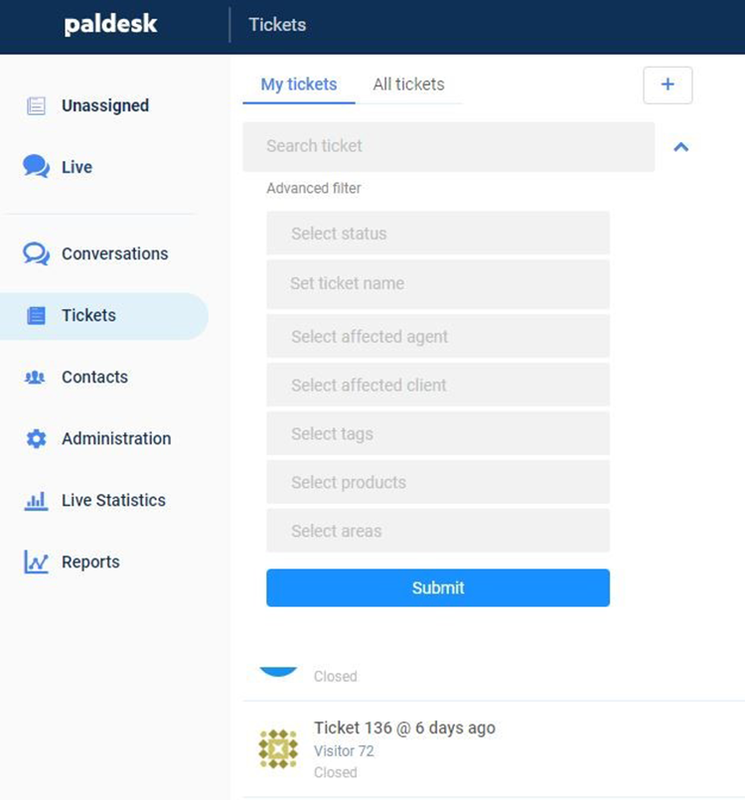 You can search tickets by status, ticket name, affected agent and affected client. Note that if you search through all tickets, you can also search by an assigned agent and assigned group.